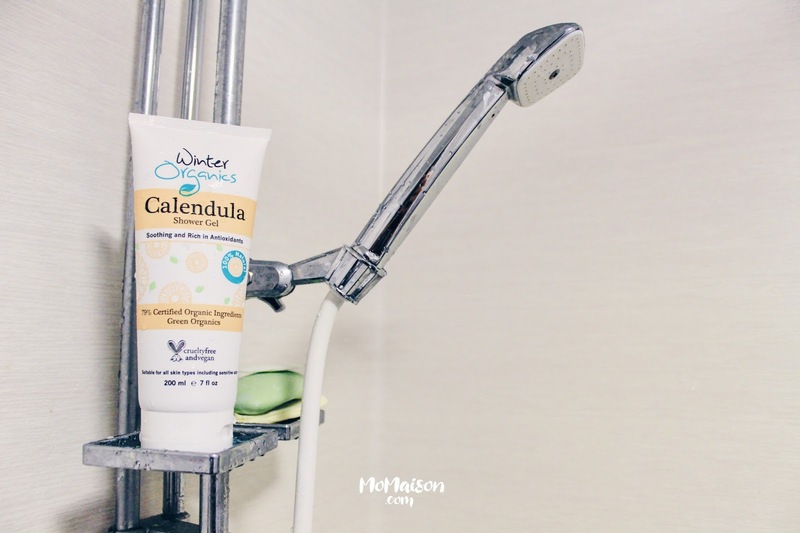 They have recently launched the Calendula Shower Gel, Cacao Facial Scrub. Macadamia Hand & Body Lotion and Macadamia Hand Cream, all being 100% natural, certified organic, cruelty-free and vegan. Like the facial cleanser, because it is natural, there was not much lather to it but you can still see the concentrated gel as you massage and spread it around your body. It would be a better experience using it with a bathing mesh pouf sponge. The shower gel smells really pleasant and natural. Although the directions states to avoid eye area, it has been tears-free (so far) when the foam accidentally goes into the eyes, similar to the Chamomile facial cleanser. I have been using it on Hansel as well and I have yet to hear him scream whenever I clean his face with this and I know the foam have inevitably went into his eyes. I would still quickly rinse it off once I am done cleaning his face though, not purposely leaving it for longer just because he isn't crying. The skin also feels smoother and hydrated after using it. However, I find the usual price (SGD 20) a little steep if you buy it individually, for a 200ml bottle. They are currently offering a special price of SGD 16 for one. Fortunately, they also offer a bundle of 3 at SGD 48 so when it reverts back to its original price, you have that option. I would go for that! This smells heavenly!!! Chocolate paradise to be exact. I would use this everyday if I could but please don't! It is so concentrated with three gentle exfoliants (no microbeads involved!) — Bamboo powder, Argan Shell powder and Olive Seed powder — that with every massage of your finger tips, you can feel them gently exfoliating your dead skin on your face. The choco smell from the cacao is...... Combined with olive squalane and papaya extract, this scrub really 'aroma game strong'. Don't be surprised when you feel tempted to put some in your mouth to try hahahaha! It does not end there! The results after using it was extremely satisfying as well! My face always feel really smooth and clean after a scrub with this. The price is also a little on the higher end for this 100ml bottle but having said that, a little of this product goes a long way so I will update when I find out how long/many scrubs this bottle could last for me once I've finished it. One of my saviors for the early dry winter in Sweden. 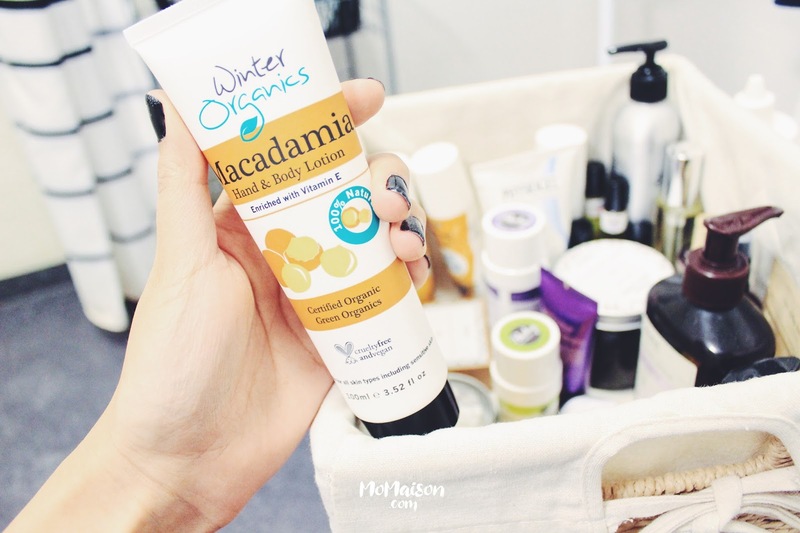 I never knew macadamia nuts could be made into hand/body lotions/cream! Apparently, according to Winter Organics, Macadamia nut milk/oil is rich in vitamin E, helps improves the appearance of scars, helps with sunburn and other skin irritation. It also promotes skin elasticity, youthful appearance and restore skin’s barrier function. Smells pretty good too. Wow! A very concentrated lotion and you don't need a lot of it. I use this for my arms and Vintage Body Care's Simply Shea Healing Lotion for my legs. It moisturizes well but I still bring their Macadamia hand cream out to reapply on my hands where it is exposed the most so it's always dry and flaky. 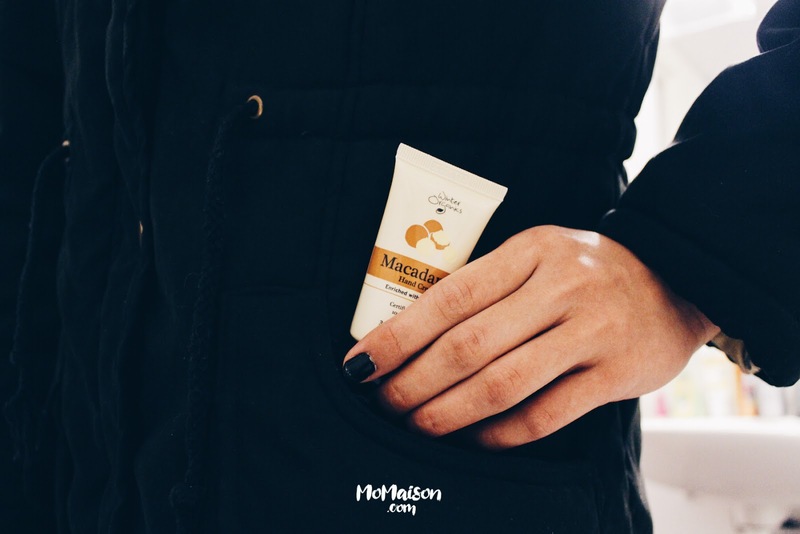 This is the Macadamia Hand & Body Lotion, just in a travel sized bottle so you can conveniently put it in your jacket pocket/purse for use when you are outside/travelling. My winter jacket pocket is it's permanent home now! Relieves hand dryness instantly and feels really nice. They ship within Singapore with no minimum spending for free and Internationally when you spend a min. of SGD 50! 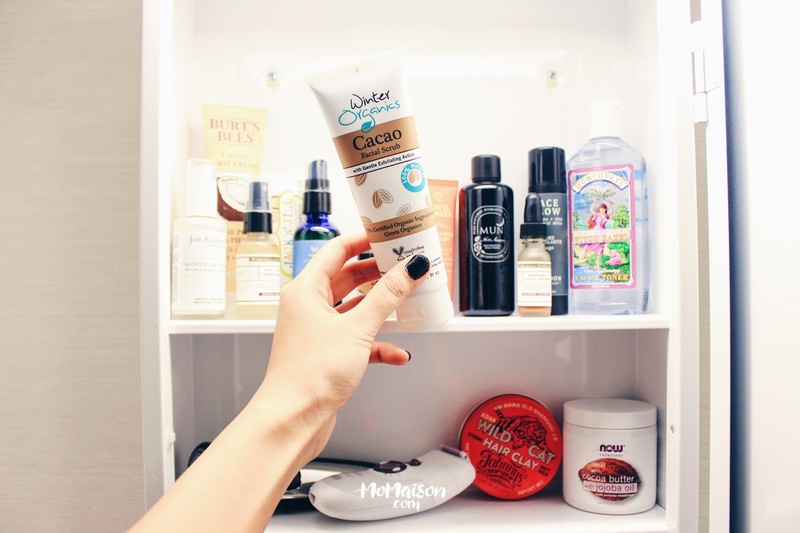 They also offer a Skincare Bundle of all 5 products — Chamomile Facial Cleanser, Calendula Shower Gel, Cacao Facial Scrub, Macadamia Hand & Body Lotion and Macadamia Hand Cream for 30% off it's usual price! Get them all for SGD 69 instead of SGD 98! 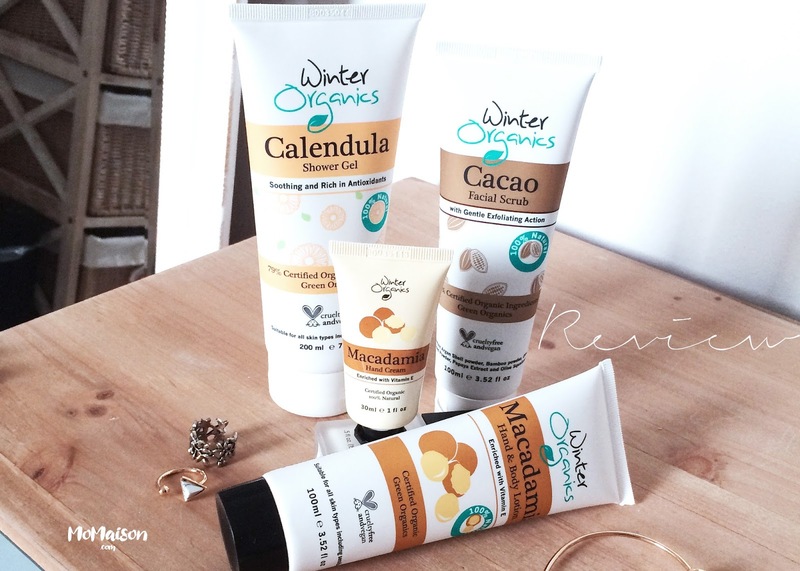 Winter Organics has officially made it to my holy grail must-have brand list! Leave a comment and let me know if it has become yours too!